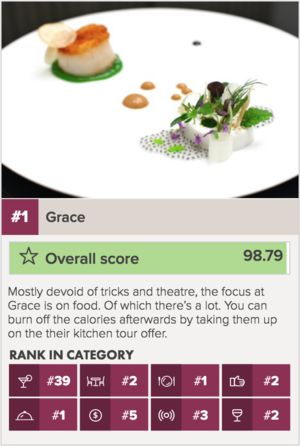 At Grace, the constantly evolving seasonal menu—described as “thoughtfully progressive”—is an expression of Chef Curtis Duffy’s experience and personality. The menu is broken up into two options: “flora”, for the herbivore-inclines; and “fauna,” for those who want more protein. 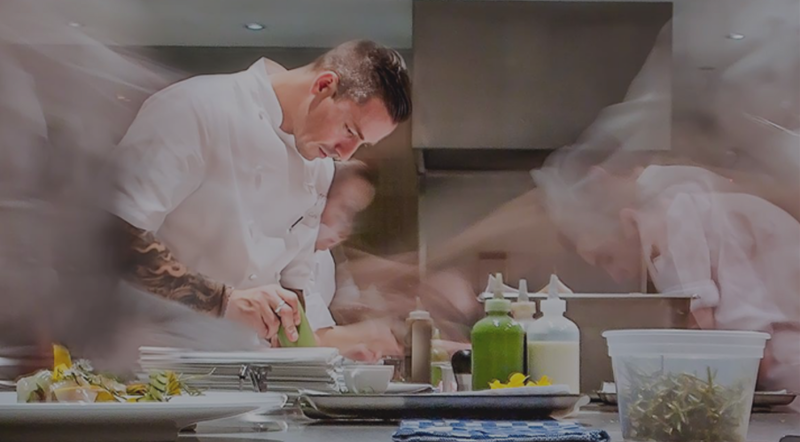 Duffy’s focus on flavor over technique and high quality ingredients has earned Grace three Michelin stars and countless other awards and recognitions, including the top spot in Renzell’s 2018 Chicago Preliminary Rankings. Chef Curtis Duffy: When I was young, I used to make Cream of Wheat for breakfast. R: Describe your ideal food day. CD: The ingredients. We are a restaurant that continues to evolve. The ingredients push the menu forward. CD: Coconut, kaffir lime, and fennel are some of my favorite ingredients that I am working with right now. CD: Grilled cheese, for my daughters. R: How did you come up with the name of the restaurant? CD: The definition of Grace is what we wanted to give our guests which is refinement, elegance, gracefulness. It is what the restaurant stands for. Want to try Chef Duffy’s creations for yourself? Book an evening at Grace!